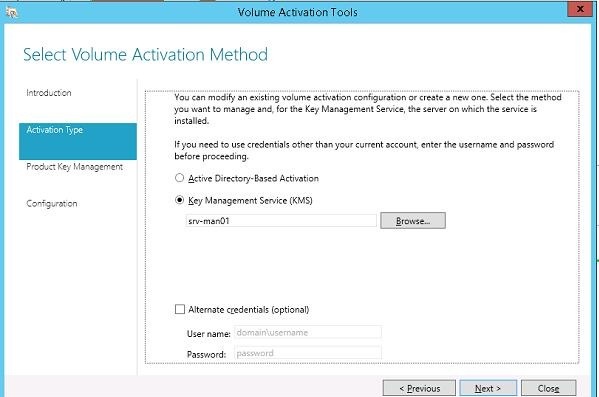 Own KMS server allows to make Microsoft products activation in a corporate network easier and in contrast to a usual activation process doesn’t require granting each computer access to the Internet to Microsoft activation servers. KMS infrastructure is rather simple, reliable and easily scalable (a single KMS server can maintain thousands of clients). 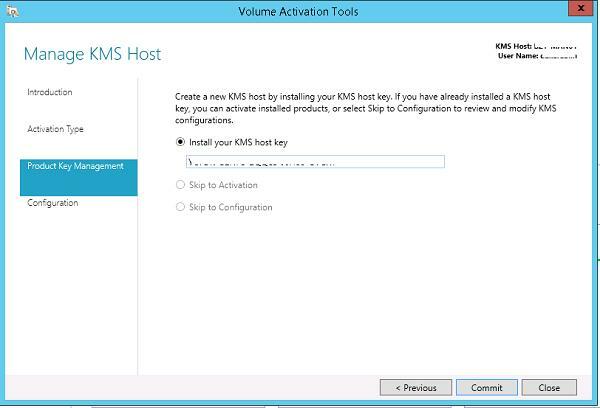 In this article, we describe how to install and activate the KMS server on Windows Server 2012 R2 on the corporate network. After the installation is over, start Volume Activation Tools console. An activation service installation wizard will start. Specify that you are going to install Key Management Service (KMS) server. Note. If all Windows OSs activated on this KMS server belong to one and the same Active Directory domain, you can use a special KMS extension — Active Directory Based Activation. Note. The account must have Enterprise Admin rights. 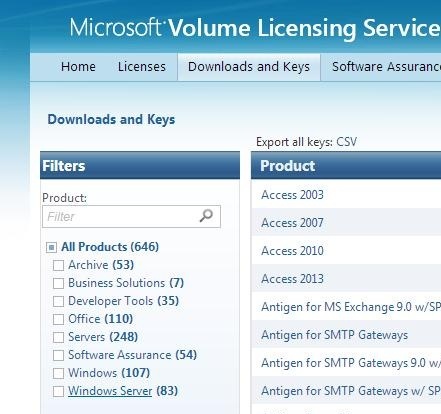 Next you need to get your corporate KMS key (GVLK – Generic Volume License Key) on Microsoft website (https://www.microsoft.com/Licensing/servicecenter/home.aspx). 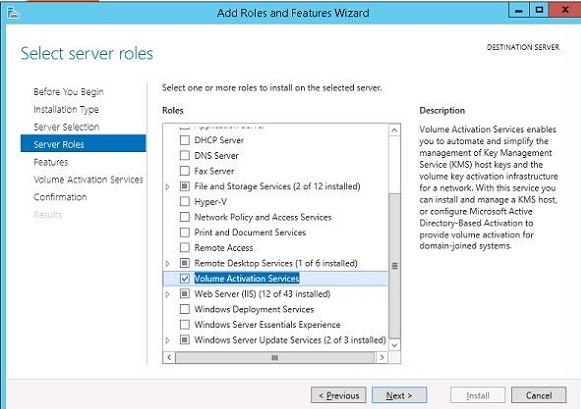 You can find it in the sectionDownloads and Keys –> Windows Server –> Windows Server 2012 R2. Find the key with type KMS (not MAK) and copy it to the clipboard. Paste the GVLK key in the corresponding field of the wizard (Install your KMS host key). If the system accepts the key, you will immediately be suggested to activate it. The system will define a product by the key you entered and suggest two ways of activation (by phone or online). 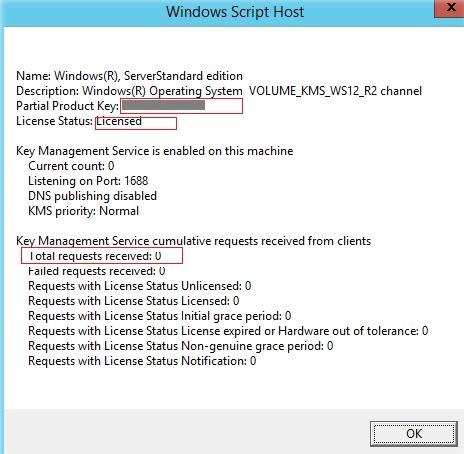 After the key is activated, you have to configure Key Management Service options: activation and renewal intervals, port (by default, KMS listens on port 1688) and Windows Firewall exceptions. To automatically create a DNS record necessary to automatically search a KMS server in the domain (SRV record _vlmcs._tcp), check the option DNS Records – Publish. Now the KMS server can activate its clients. 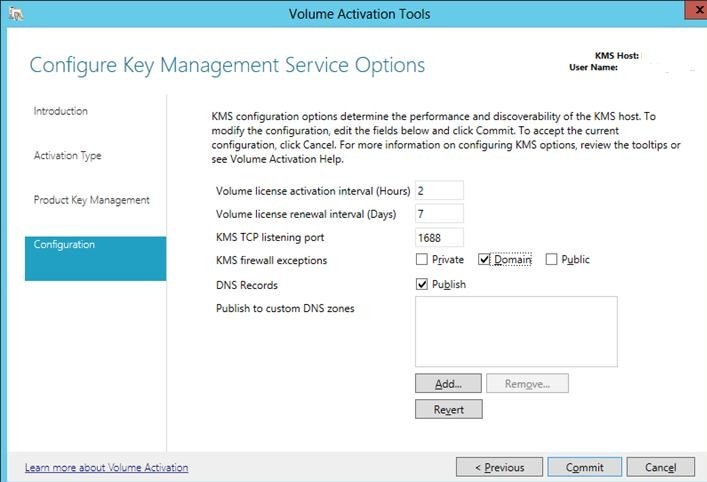 Public KMS keys for Windows 8.1 / Server 2012 R2 here.